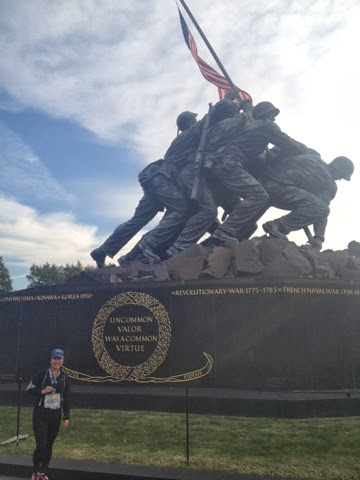 Today I ran my 3rd race, the 10k for the Marine Corp Marathon. It was a first time running this race and I had a lot of fun. 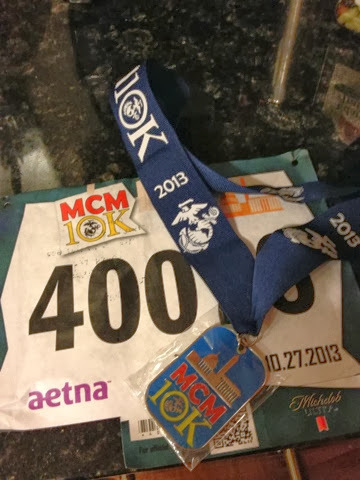 After running the army ten miler last week, I didn't train for the 10k... I figured if I could do the 10miles, I should be able to do the 6.2miles but by Friday I felt nervous so squeeze in a four mile run to put my mind at ease! 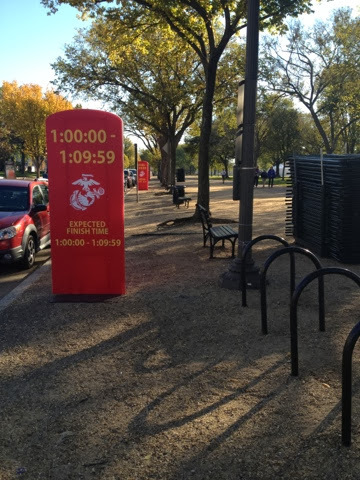 Because the start for the 10k was right on the National Mall, I was able to walk out my door about 7:40am. Race started at 7:55am! Here I am with Annabelle before I walked out the door! As I walked down to our lobby, I realized I should snap a photo of me bc I didn't really get a good photo of me last week! 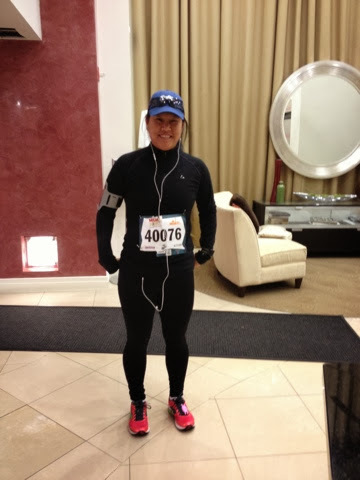 Here I am in my running attire. Colts hat. Black pants. Black long sleeve with a tank top and two sports bras underneath. 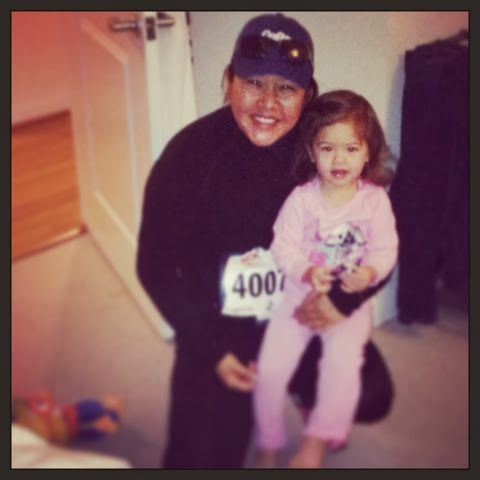 I headed out the door and it was a little chilly but I instantly knew I may get a little warm during the race! 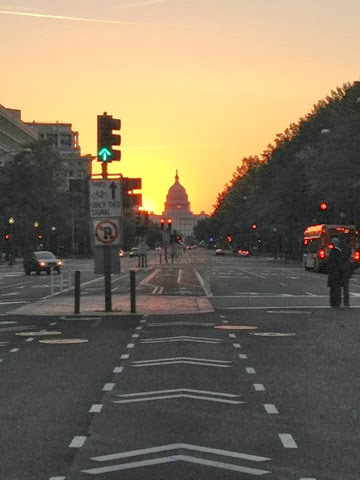 Here's a picture of the Capitol as I walked down 12th street towards the start! Once I got down there, things started fairly quickly. I got in line with this group for my goal time of 11minute mile- so about 68 minutes. I wasn't setting unachievable goals for my first 10k, despite an awesome race the week before-My PR for the 10-miler was 10:05min/mile. Exceptionally good for me so I didn't want that to be the bar. But I would be lying if I didn't say that it kinda was the bar in the back of my mind! The race itself was nice. Less crowded than the ten-miler, easier to navigate, and a little familiar as we went over 395 northbound hOv lanes into crystal city. I tried to keep my eye on my pace but not stress myself out. I feared I started too quickly and was gonna get overtired so I tried to really think more about my breathe and fun, than PR! I took the downhills faster and reminded myself to shake out my arms and I tried to take the uphill in stride without slowing down but in fact picking up my pace. The final hill was the worst! 6 miles down, you know the end is near and it's a nice decently steep hill. But can't be that long right? Hard part was every one was slowin down, so I picked up my pace to get around them - which was hard. And I just kept thinking - FINISH STRONG!!! And I DID! The clock 01:04:00 ish, so I know I surpassed my goal of an 11min/mile and checked my watch-it said 01:00:13!!! Total PR!!! Here I am after crossing the finish line! Here I am in front of Iwo Jima with my medal!!! 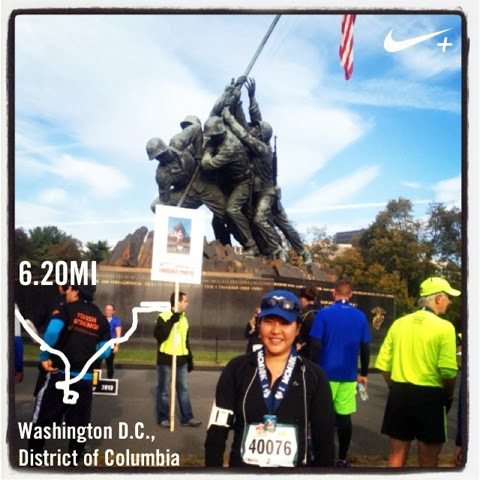 Here I am with the Nike+app feature that puts the map on the bottom left corner! A photo f my bib and medal!!! 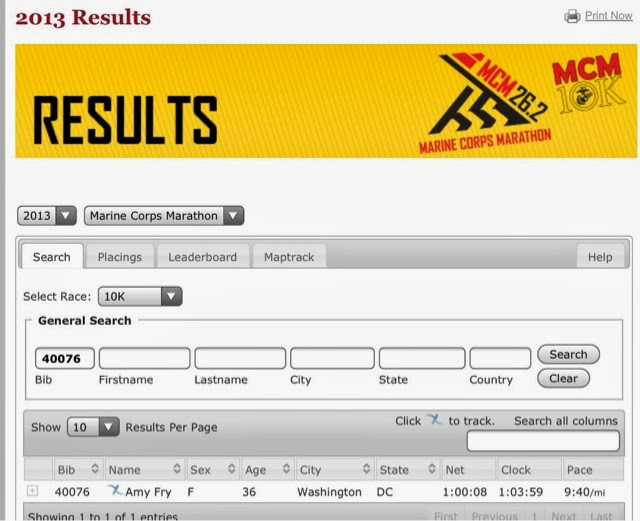 A screenshot of my official time! It was a personal record and all time personal best time for me! 09:40/mile... I never can do that and I did it today!!! My watch wasn't too off either 01:00:08! 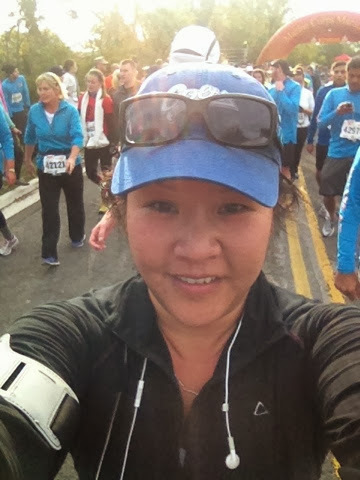 I completed the 10k strong! #oohrah !!! After I got home, the husband had blueberry pancakes, eggs and bacon waiting. Scarfing down the food, I then showered and got ready to see If Annabelle and I could spectate for the marathoners. Seeing spectators and hearing them cheer you on is such a great feeling! 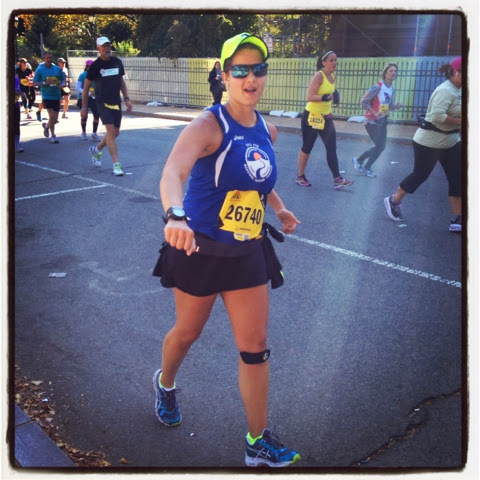 I knew it would mean a lot to my friend who was running if I could cheer her on! She's been a big supporter of my running endeavors, so I wanted to support her too! I spotted her easily by her hat! She fist bumped Annabelle! While we screamed and cheered her on!!! I was so glad we were able to catch a glimpse of her!!! 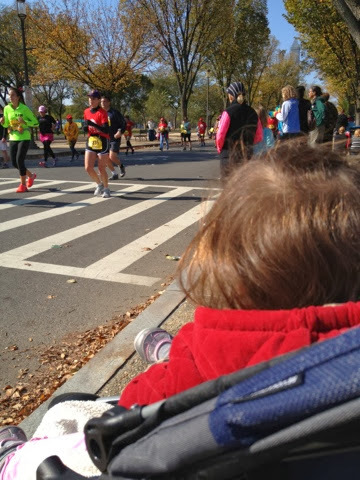 Annabelle loved seeing so many runners going by!!! 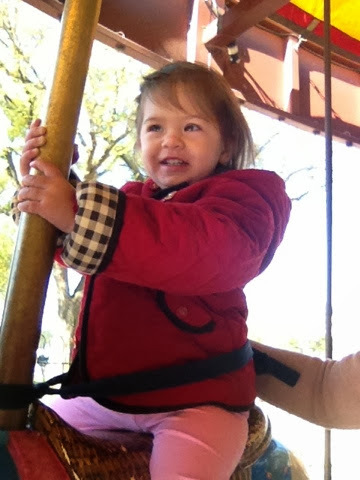 And of course, bc Annabelle was so patient she got to ride the Carousel!!!! TWICE!!! What a fun day and It isn't even nearly over yet!